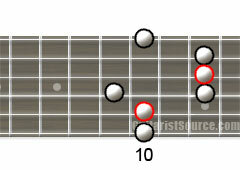 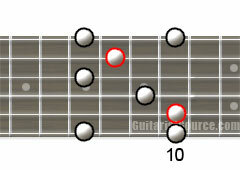 The G major arpeggio uses 3 notes from the G major scale. 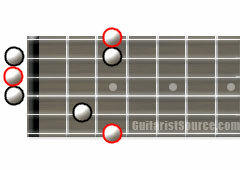 The first note G, the third note B, and the fifth note D. These same 3 notes create the G major chord or triad when played in unison. 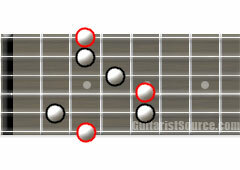 The red dots of the diagram represent the root notes. 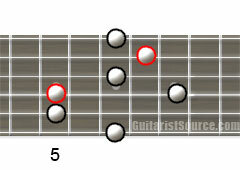 These diagrams break the G Major Arpeggio down into 5 patterns.